Professional Painter and Decorators for over 40 years. 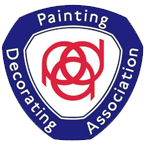 Tony - Lee painters and decorators are a successful family-run business with over 50 years experience and are proud members of the painting and decorating association. We are Painters and Decorators based in Otley, West Yorkshire, and cover a 30 mile radius covering Ilkley, Harrogate, Otley. Tony and Lee, father and son, have been offering a high standard of quality work to customers for almost 40 years. As experts in their field, holding accreditations with the PDA and City & Guilds, we pride ourselves in providing the highest quality workmanship and standard of work. Whether you require an internal redecoration or external refresh, we can undertake jobs of all shapes and sizes.